An ultra-Orthodox man has been arrested and charged with sexual harassment in Jerusalem. Moshe Fuchs allegedly called a 19-year-old female Israeli soldier a "prostitute" and a gentile when she refused to move to the back of a segregated bus earlier this week. 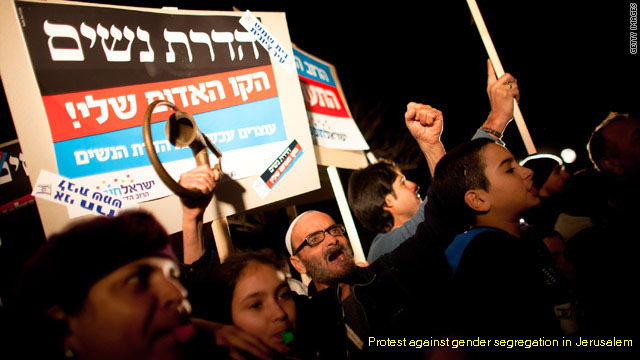 The incident highlights the simmering debate over gender segregation playing out in Israel right now. We addressed the issue and the face-off between ultra-Orthodox Jews and more moderate religious Jews during Thursday's show.